1. Wikipedia Blues history article. 2. The Gullah Net website includes information about the evolution of blues music and how it influenced other styles. 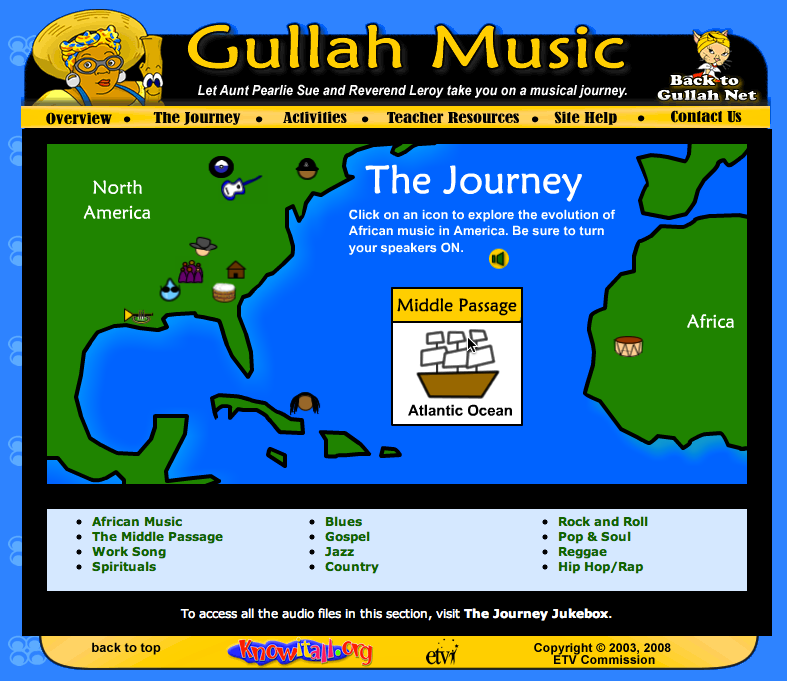 Head to Gullah Music and then visit the Journey section for an interactive map. 4. 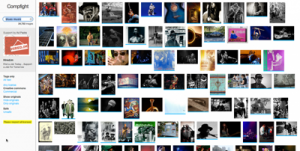 The Blues music history timeline. 9. 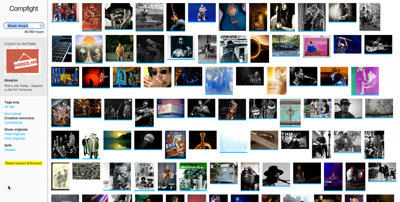 Visit the iTunes store and search “blues” to find hundreds of blues examples. You can play 90 seconds of each track before purchasing it. 10. Clips from the 7-part PBS series The Blues. Well this section could have been VERY long so I’ve chosen just a handful of songs. Most of the songs listed are in the 12 bar blues format. 13. WC Handy performing St Louis Blues. 21. Wikipedia article about the blues scale. 22. Lessons (mostly for guitarists) on Youtube. 25. Having trouble working out the meaning of those blues lyrics? This blues glossary might help. Includes the meaning of some slang terms and describes locations named in songs. 26. Play a little Desktop blues. Click on the Click Here button to start and then make sure to turn on the radio by clicking the appropriate button so that the backing track plays. You can then click on the coloured squares to “improvise” guitar licks and vocals. The vocals seem to work best: it’s difficult to get the guitar parts in time with the backing, but the vocals sound OK if the timing is “free”. [in case you’re wondering, mine is Curly Bad Boy Bailey]. 28. 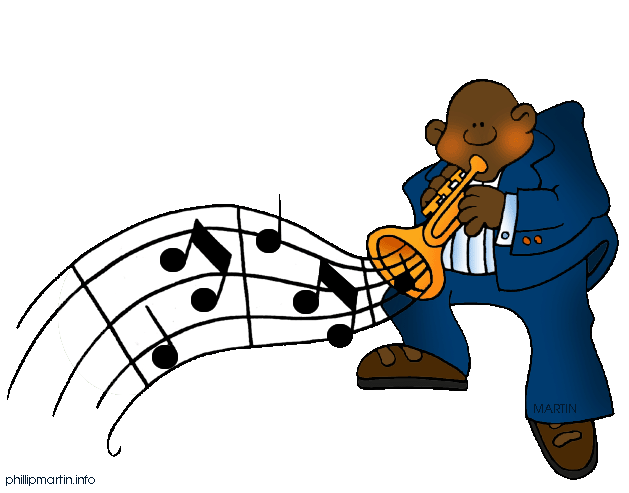 Discover a range of lesson plans to accompany the PBS series The Blues. 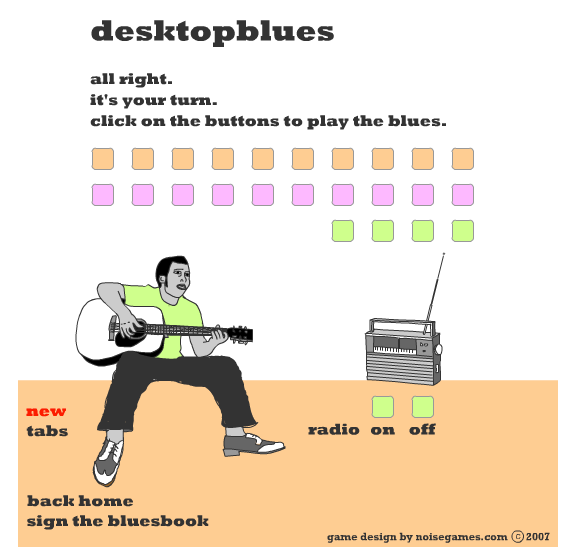 30.Smartboard interactive whiteboard Notebook file The Blues by Mrs Alison Friedman. Visit this page , scroll down the the 4th grade section and download The Blues file from the end of the list. 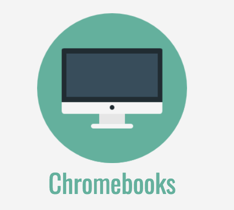 If you don’t have Notebook software, you can open the file using SMART Notebook Express. 31. Discover the secret code hidden in many blues songs on the Gullah Music website. 32. Learn about rhythms and percussion instruments used in blues music and then create your own “remix”. 34. 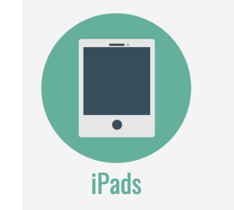 Using a software program like GarageBand, Acid Music Studio, Mixcraft, Sonar Home Studio or the GarageBand app on the iPad, have students create their own 12 bar blues backing. They can then play or sing a melody based on the blues scale over the top. 36. Visit the Quaver Music website and use the QStrum tool to create a 12 bar blues backing using chords and preset rhythmic patterns. 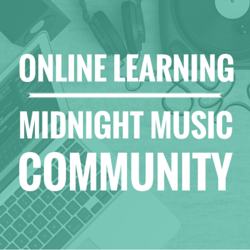 Students will need to sign up with an email address in order to use the resource, but it’s well worth it (there are many excellent music tools available in addition to QStrum). 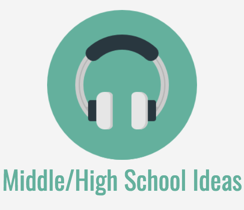 Click on Kids Enter Here and sign up (or log in) to get started. 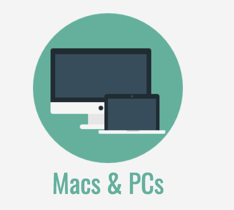 Next, enter the Studio and choose QStrum (hover your mouse over the screen until you find it!). 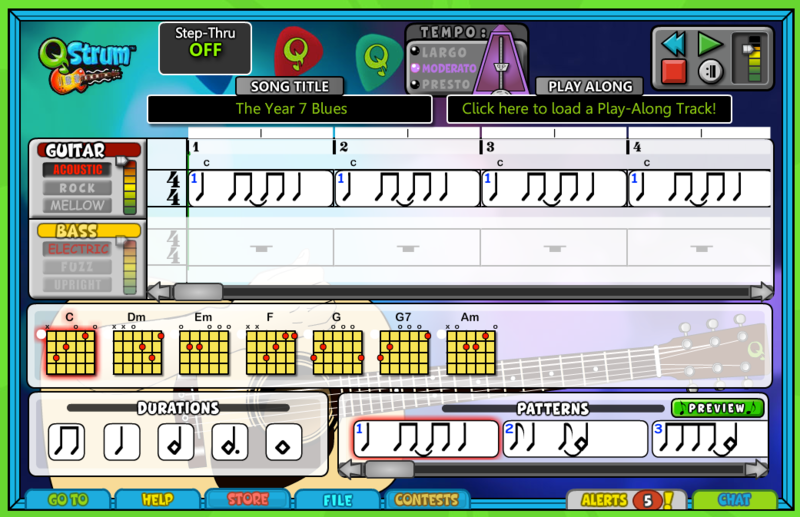 Using the QStrum tool, students can easily build their 12 bar blues backing using rhythmic patterns and chords and you can play it back using the controls at the top of the screen (extension activity: create a bass part and write some lyrics). Add some visual interest to your own prepared materials by using these images in your Powerpoint or Keynote files and worksheets. Well, I hope you find this collection useful! Any that I’ve missed? Let me know in the comments below. Thank you Katie! 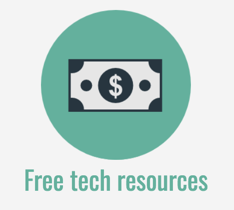 A Fabulous resource! 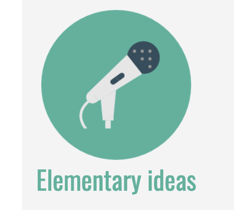 I am doing a unit “From the Blues to Rock’ with the Grade 3/4 students – I will be able to use these wonderful ideas and add to my unit! Katie, you are TRULY amazing. Thanks for sharing!! For teaching high schoolers to play 12 Bar Blues I’ve found 2 things very helpful: The scene from Back to the Future in which Michael J Fox plays Johnny B Goode, and George Ezra’s song Budapest which is an extended 12 Bar Blues form. Both are great options for prac when played in a suitable key for beginners. Thanks Katie for all these resources. Thanks Priscilla. I had forgotten all about that scene in Back To The Future! Thanks for posting this great resource Katie! 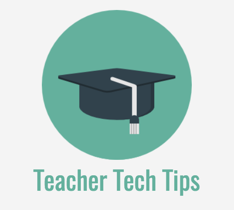 I have also used Brainpop. 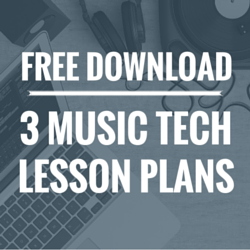 It’s a classroom subscription, that has many different videos – not all music. They have a great one on the 12-bar-blues. Another thing I’ve done is to have kids sing the Groundhog song to “Hound Dog”. The original is Big Mama Thornton & then of course there is Elvis, but somewhere online I found these lyrics which go really well to a Karaoke version of Hound Dog or students can create their own backgrounds. “You ain’t nothin’ but a Groundhog – sleepin’ all the time. 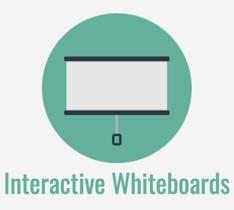 I have a non-interactive SMARTBoard file of the rest of the words for anyone who wants them! Wonderful! I’m teaching 12 bar blues this week and my kids are loving my new lap-steel guitar which allows any age to play the main chords! 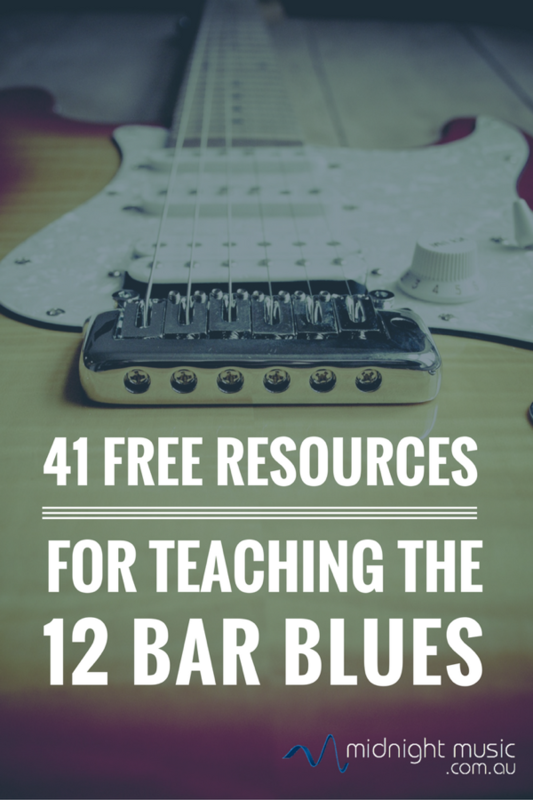 Thank you Katie I have taught the 12 bar blues as the central part of my year 10 course now for many years and this gives me the revamp and update that my resources needed. We always watch the movie “Crossroads” – about the young guitarist travelling down to Mississippi with the old blues harp player, it has so much that the kids can learn from and they all love it. Well done Katie this is fantastic!